Indie Pop/ Rock Group Bella & Lily are partnering with Safe Connections to spread awareness of domestic and sexual violence issues. They will be using their place in the spotlight to help women and girls get safe and stay safe. 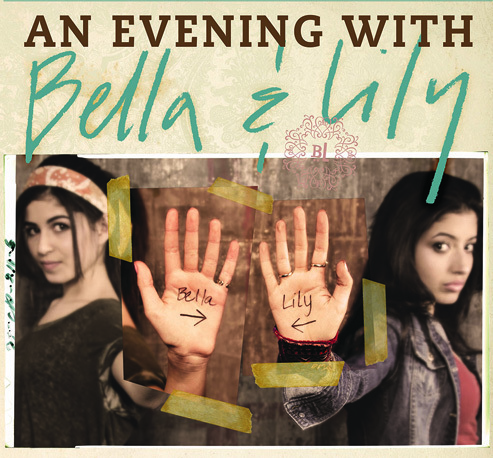 To launch our partnership, Bella & Lily have invited Safe Connections to have an information table at their concert at The Sheldon Concert Hall Friday, April 11. Bella & Lily ask you to bring donations of toiletries and other household supplies for the women we serve here who are leaving violence living situations. Tickets are only $10. We hope to see you there! If you can’t make it to the concert, Bella and Lily will be speaking the next morning at the Together brunch and playing two of their songs.